Tag Archive for "Best Lawyer Online Advertising"
If you are after the best lawyer online marketing then you’ve found it. After all, you clicked on this article so we have already proved that at Webrageous we know how to market online. But the services that our pay per click marketing company offers for lawyers go beyond the fact that we know about online marketing. We are about teaching lawyers how to market online too. 1. Get your law firm’s name on the Internet. As a lawyer up against numerous competitors, it is important to keep your name and your reputation circulating across the Internet. There are a number of ways to do this. You can circulate press releases related to relevant cases or other information about your law firm. You can update your website, writing articles about the lawyers or issues of interest. You can work on search engine optimization (SEO) for your law firm or try pay per click advertising. Webrageous offers all of these services which is why we offer only the best lawyer online marketing. 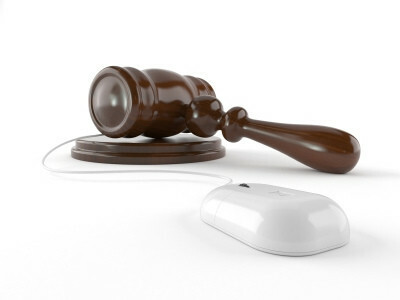 We will tailor the needs of your law firm in our online marketing services in order to get your name on the Internet. For more information on how we can help, read this article on why Webrageous is the best choice if you want the best lawyer online marketing. 2. Target clients in areas specific to where you practice law. One of the best things about lawyer online marketing is that you can choose who you market to. So when you’re thinking about the best lawyer online marketing, consider pay per click advertising. Pay per click allows lawyers to target people in specific states, across the nation, in other countries or in one particular town or specific geographical area. Webrageous is a pay per click management company for lawyers first and foremost. It is what we do best so give us a call to find out about online marketing for lawyers through pay per click. While there are many avenues that you can pursue, we believe that pay per click is one of the best options to get the best lawyer online marketing possible. 3. Create separate campaigns for different legal issues. When deciding to market your firm of lawyers online, you probably need to take various law fields and specialties into account. Even if your lawyers specialize in one particular law field, such as divorce law, there are various branches within that. One of the best things to do for lawyers is to create separate campaigns for each law field. When marketing online on natural search results, be sure to include hyperlinks throughout your articles on your lawyers’ site, for example, to pages that specifically relate to that law subject. It is a bit simpler with pay per click marketing as you can create campaigns specific to those fields and highly target those campaigns with keywords, advertisement text and optimized landing pages that relate to those topics. This might be the best option for lawyers wanting to target specific topics in aiming for the best lawyer online marketing campaigns. Again, Webrageous can help with this aspect of online marketing. 4. Launch a new website or blog. A good way for lawyers to increase their online presence for SEO and the best in terms of creating large amounts of content for your law firm online is to create a new website or blog. A new website will help lawyers focus on one of their specialties that is easy to navigate and more relevant to users’ search queries. You can then include hyperlinks that lead back to the other websites of your lawyers. A blog allows you to produce interesting and up-to-date content that will hopefully be picked up by the search engines, allowing your lawyers greater visibility across the Internet. Hiring a content writer who specializes in SEO for lawyers is the best way of ensuring that those articles are interesting and optimized in order to rank higher on the search engines. Webrageous offers SEO content writers who specialize in online marketing and writing for lawyers. We have a range of affordable packages to get your law firm started. For more information on the best lawyer online marketing services that Webrageous provides, contact us today. We are the best lawyer online marketing firm in the business and we can get your online marketing strategies performing in no time. After all, we have years of experience doing so. For more on Webrageous and how we are able to help lawyers through our online marketing services, read this article on how we are the best in lawyer online marketing.